This evening when I was put into the bag after hearing Karen mention the word ‘woods’ and ‘modelling’ I thought I was going on another outing for photographs of me looking handsome stood amongst the lovely wild flowers that are abundant at this time of year. 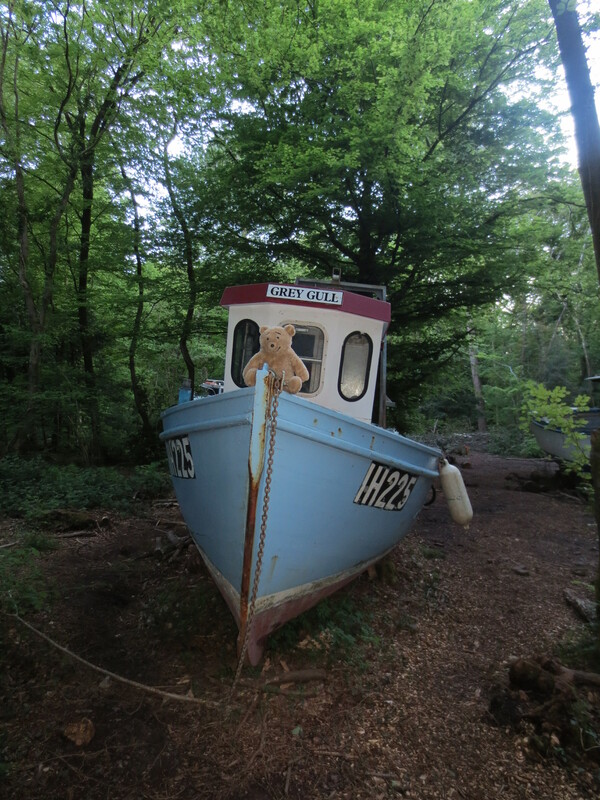 However, when I was taken out of the bag I had a massive surpise, I was indeed in a woodland, but was surrounded by old fishing boats. 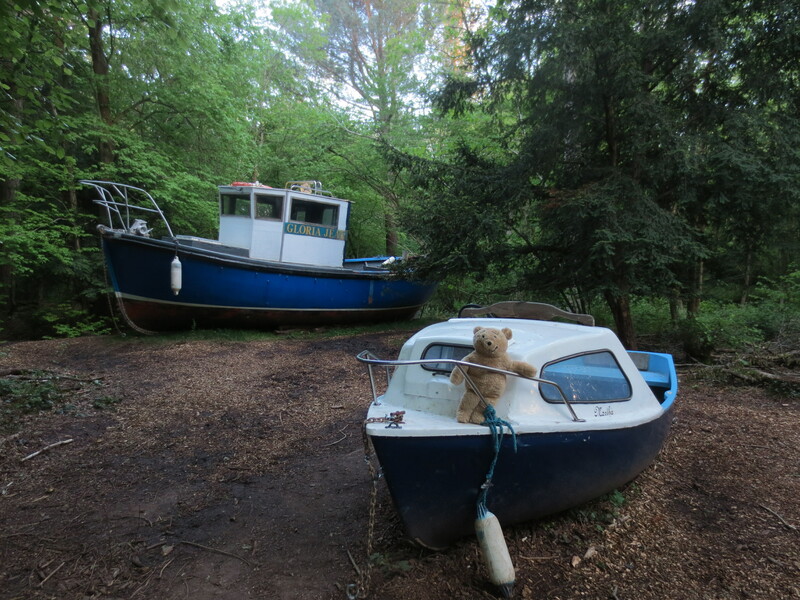 There was no water anywhere in sight, making me very puzzled as to how the boats ended up in the woods. 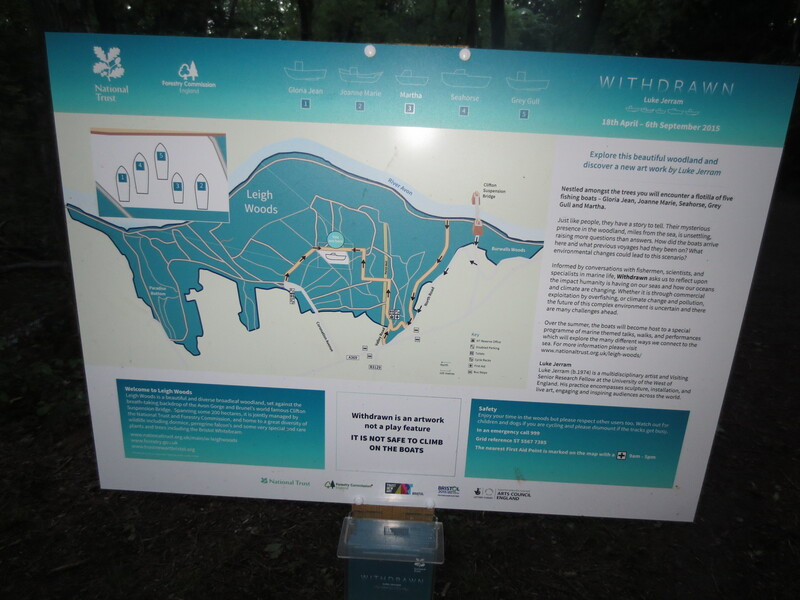 I then heard Karen talking and realised that the boats are part of something humans call art, and are there to make people think, which is what I was doing. 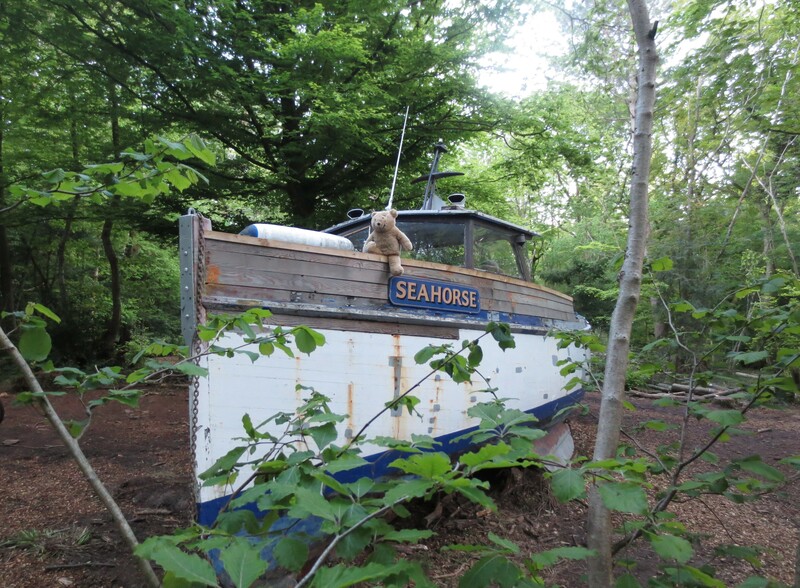 It seems a shame these old boats aren’t wanted anymore. The art installation is called ‘Withdrawn’ which Karen says is the same term used for library books that are no longer needed. After some thought, I think it is better for the fish if some boats are out of the sea. Fish have a tough time as people want to keep catching them to eat and sometimes other creatures get caught in the fishing nets too. I am glad I am not a fish. While I was being photographed on the boats there were a two people sat in one of the big boats talking quite loudly about oceans and fish while filming themselves. 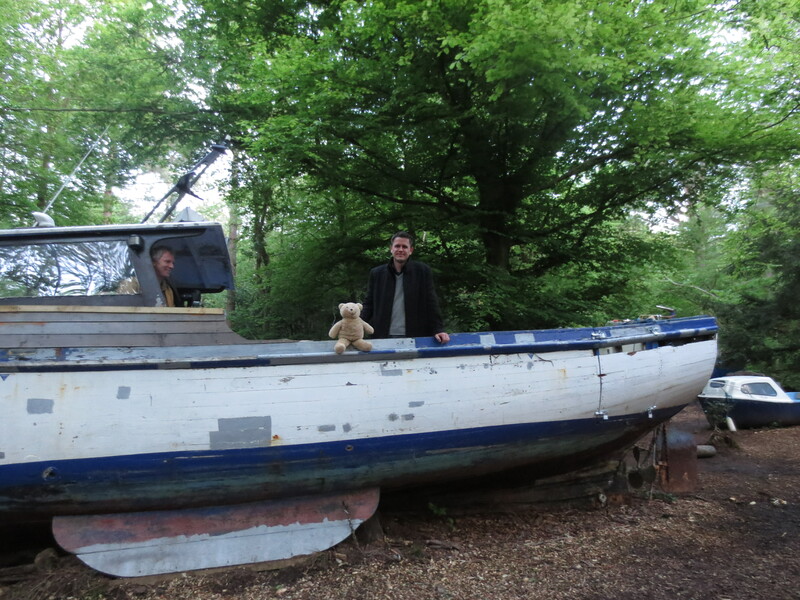 It turned out that one of them was the artist, Luke Jerram. 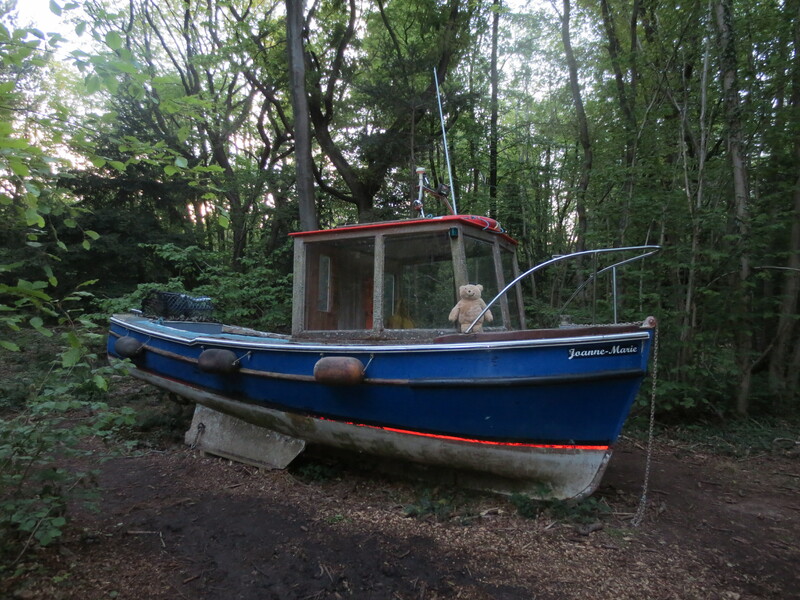 This entry was posted in Uncategorized and tagged boats, fishing boats, leigh woods, luke jerram, withdrawn by karenlovestodance. Bookmark the permalink.